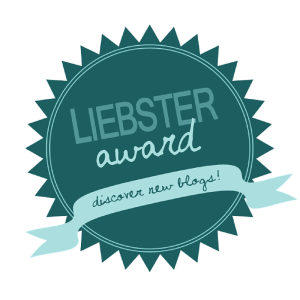 My First Blog Award: Liebster! And Eleven Great Blogs You Might Not Have Checked Out Yet. Thank you to Vaidehi Singh over at Vaidus World for nominating me for the Liebster award. I’m very glad she enjoys this blog. Thank the blogger who nominated you with a backlink. Writing 11 random facts about yourself. Nominating 11 bloggers (with less than 3,000 followers). Asking 11 questions from your nominees. Notifying your nominees through social media. When did you identify that you wanted to be a blogger? I started my blog when I wrote my first book, Gator McBumpypants Hears a Scary Noise. I wanted to share my journey as an author. How do you get new topics to write? I read A LOT. I also talk about challenges from my critique group and areas I am focusing on improving in my writing. There is always something new to learn and share. What inspires you to write? My story ideas. I get excited to see where my characters will take me. Are you also a reader along with a blogger? Yes. My sister teases me because I’m always reading at least 30 library books at once. How do you take criticism about your blogs? So far, I haven’t received criticism about my blog. However, my weekly writing critique group has helped me improve my ability to take criticism. There is always room for improvement. Do you want to pursue blogging as a profession or is it just your hobby? Blogging, for me, is part the professional life of an author. Who is your favourite blogger? I love harrybipedhiking.com. I have learned about some wonderful day hikes there. Do you think twice before putting your opinion or personal stuff on your blog? Yes. I try to keep my blog posts focused on learning about writing. What all things do you do to make your blog visible to your readers? Most posts start with an eye grabbing photograph that I have taken myself. I have also linked my blog posts to Twitter, Tumblr and Google + in hopes of reaching a wider audience. Write 11 random facts about yourself? My favorite Seahawk is Earl Thomas. I sang in a band called Bizarre Garden Accident in college. I invented a fabric art I call fabricglass. I have lived in Sweden, England and West Africa. I used to design and manufacture laser-cut wooden jigsaw puzzles. I was a costumer on the remake of All the King’s Men and met Sean Penn and Jude Law. I marched with the Ninth Ward Marching Band (floutist). When I find an author I like, I binge read all of their books. I enjoy Scrabble and own a hardcover Scrabble Dictionary with my name embossed on the cover. I played bass in a cover band that entertained at motorcycle rallies. Congratulations! Thank you for your great blog posts. When did you identify that you wanted to be blogger? How do you get new topics to write? How do you find blogs to follow? Share your own favorite published blog to date? How do you make your blog more visible to your readers?